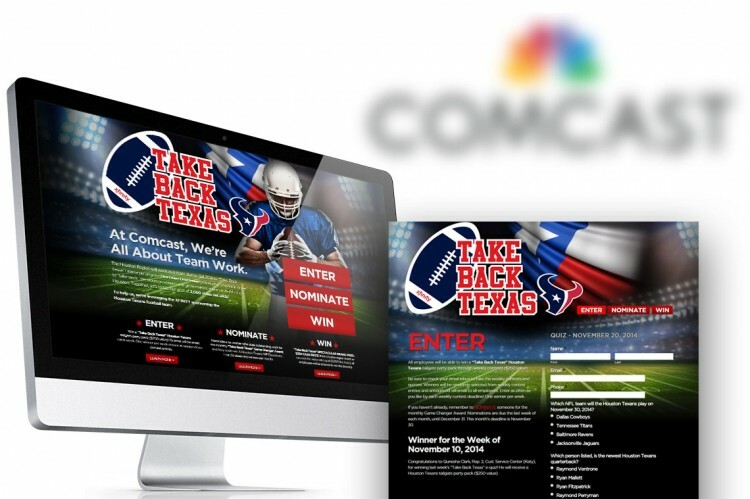 KWIRX worked with Comcast to develop a microsite tailored to an internal campaign to increase sales within Q4 of 2014. 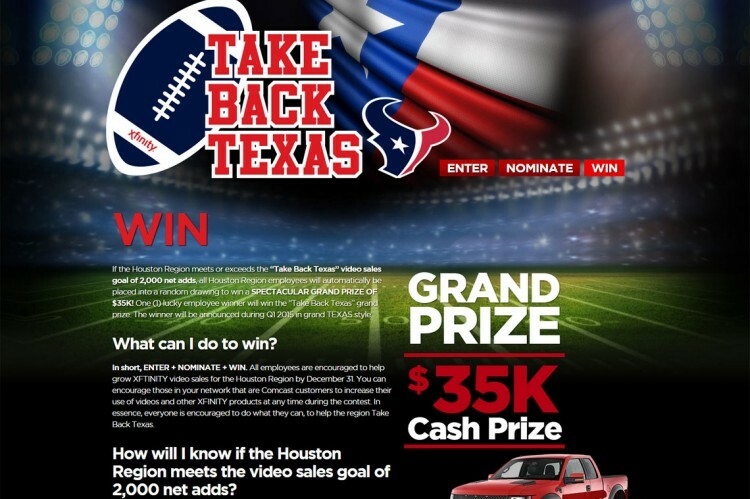 The microsite was heavily co-branded with the Houston Texans and the Xfinity product line from Comcast. Rapid Deployment: Microsite is only 3-4 pages and designed/deployed within 3 weeks.